” Waiting for my clothes to be ready. 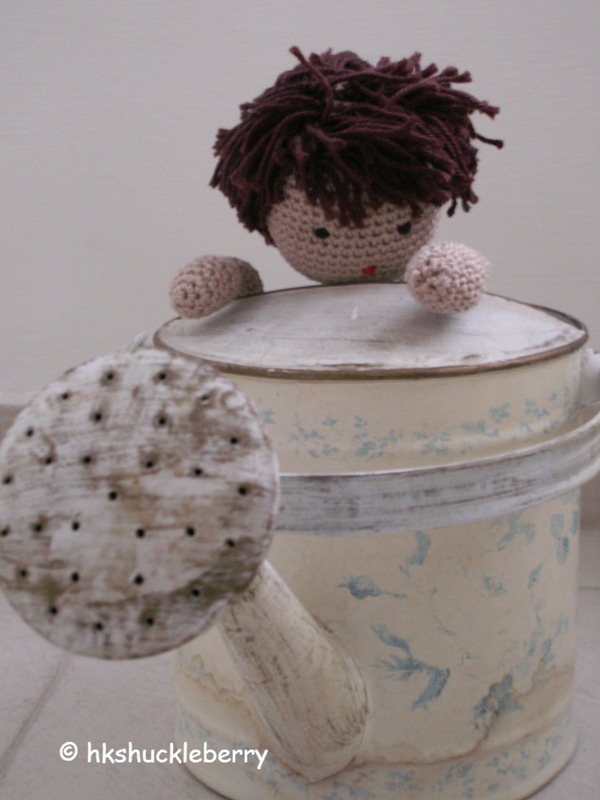 What took you so long?’ Looking at Pomi in the watering can I had to pull myself together not to burst out laughing. I put Pomi’s shirt and trousers on the floor and turned away. I could hear him climbing out of the watering can. Then it was silent. ” You shrank the pants!” Pomi suddenly burst out. “They are too small on me. 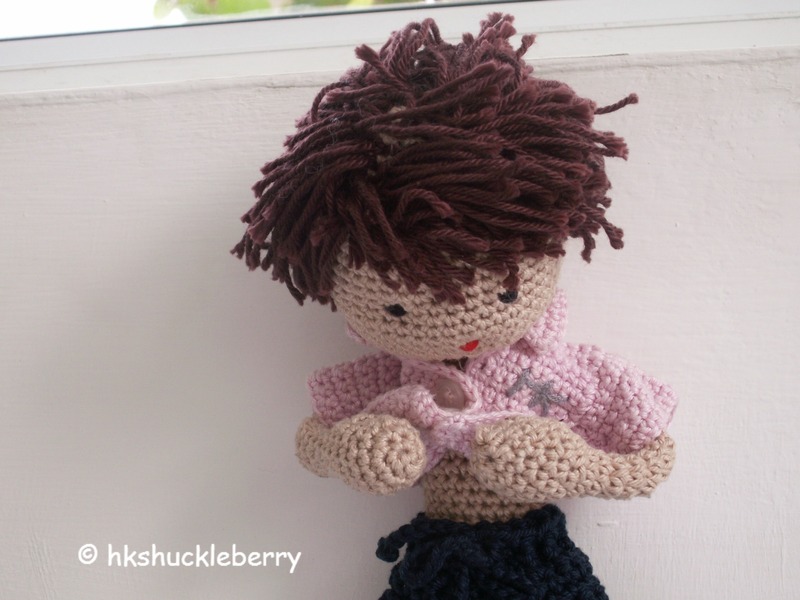 You shrank my trousers.” Pomi was trying frantically to fit into the crocheted blue garment. I gave him the new pair of trousers. ” Don’t worry, I am not looking.” I chuckled. ” That tummy!” I pointed at Pomi’s midsection. Pomi lifted up his shirt and looked at his tummy. Heike, each of these stories is a gem! What a nice idea 🙂 !!! !